We cheer for the families who have spent generations trying to recover their priceless treasures systematically stolen by the Nazi regime before and during World War II. The full energies of our courts and legal system have been single-minded in their devotion to repatriating stolen Holocaust works to true owners. And when successful, we applaud these efforts and feel good about justice served. But let’s not mention any of this to Pierre Konowaloff. Because on October 20, 2015 , the United States Court of Appeals for the 2nd Circuit rejected a similar argument advanced by him to reclaim a tyrannical state’s seizure of his family’s works. Almost 100 years ago, the March 1917 revolution in Russia overthrew Tsar Nicholas II and installed a provisional government, which was, in turn, overthrown by the Bolshevik, or “Soviet,” regime. Upon gaining power, the Bolsheviks issued numerous decrees nationalizing property, such as abolishing private ownership of land. The Bolsheviks also confiscated artworks to be sold abroad. On December 19, 1918, the Bolsheviks decreed that the art collection of Mr. Morozov was “state property” and they seized it without compensation. The Cezanne and Van Gogh were eventually purchased by a Stephen C. Clark. 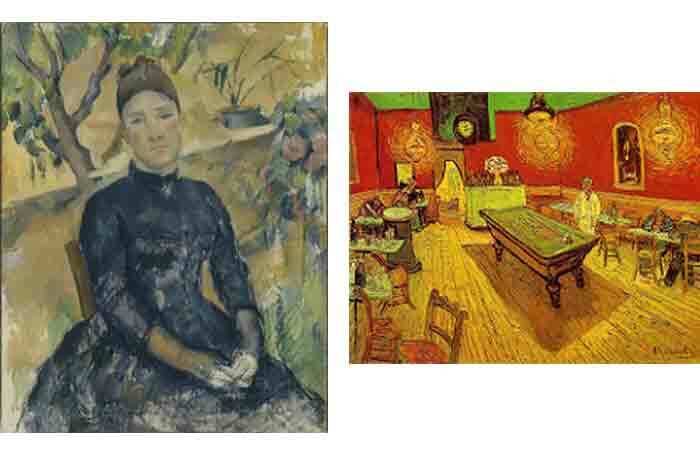 When he died, bequeathed the Cezanne to the Metropolitan Museum of Art in New York and the Van Gogh to Yale University. In 2008, Mr. Konowaloff first learned that these paintings were seized from his great-grandfather and commenced actions in the United States for recovery. In both cases, the trial and appellate federal courts held that Mr. Konowaloff was precluded from recovery because of the “Act of State Doctrine.” Under this doctrine, the validity of a foreign state’s act may not be examined even if it violates customary international law or the foreign state’s own laws. In other words, when a foreign government has taken action against one of its own citizens, then the merits of such action cannot be questioned by another country. This is what the United States Court Appeals affirmed in favor of Yale University in October 2015. For sure, a potential can of worms exists if we second guess a foreign state’s government conduct towards its citizens. Do we really want to question a government seizure from its criminals to satisfy taxes, pay debts, compensate for wrongful acts, recover the fruits of criminal enterprises, etc? But we know that the actions of some tyrannical states were simply so evil so as to be incapable of justification. Germany of the 1930’s is a prime example. We have no issue reversing seizures by the Nazis. So, if Holocaust victims are granted justice, why not victims of Soviet tyranny? 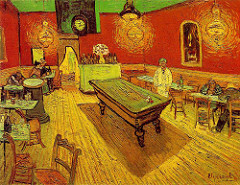 The Night Cafe by Van Gogh was considered one of his favorites. Holocaust art recovery cases are special, we know. The Soviets – our allies in WW II – exercised significant influence in shaping the post-war world and its repatriation rules. But were the Soviets so innocent of barbaric treatment of their own citizens that we should ignore their conduct by legitimizing state theft? Other issues are also at play against Mr. Konowaloff, such as waiver, the statute of limitations, innocent purchasers, etc. and the Court of Appeals did render its decision merely days after oral argument. When a Court rejects a litigant’s position as quickly as occurred here, there may be something particularly striking about the facts or the parties which may not be immediately evident from the decision. Nonetheless, such a rousing affirmation of the Act of State Doctrine, in the face of outright governmental pilferage by the Soviets, may not sit well with fair-minded folks today. Perhaps Mr. Konowaloff will further appeal his case to the US Supreme Court. We’ll see if he can ultimately obtain a fair hearing on the seizure of his family’s property. And maybe we’ll be applauding for the victims of Soviet tyranny as well. YALE UNIVERSITY, NIGHT CAFÉ, Property, a Painting, in rem, v. PIERRE KONOWALOFF, United States Court of Appeals, Second Circuit. October 20, 2015.